We’ve all seen those adverts on television, the various organic food companies that are out there advertising, vying for our attention in an attempt to get us to eat more healthily, to commit to the delivery of a quaint box full of healthy goodies delivered on a weekly or monthly basis to our door. It’s only fair that if we are willing to try these products for ourselves, that we should be able to consider them for our four legged friends also, and that is exactly what Pawtions Pet Food is offering, a bespoke calorie controlled diet, made to measure premium products, delivered conveniently direct to your door. From the get go, the people behind this service are a professional and committed bunch. They want to know everything they can about your dog so that they can recommend the correct diet, they need to know the breed, age, height, and level of exercise. Then you get to look at the menu and there’s plenty to peruse, everything is healthy, high quality and very nutritious. Everything is made with care, for they wouldn’t have it any other way. They use only the best quality dry food ingredients. So what happens next then, they’ve got my dog’s personal details, they know what I want to feed him, is that it? No. 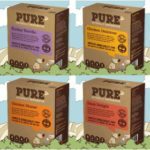 When they have everything they need from you in terms of your dog and what you want to put into their diet, the folks at Pawtions beaver away at creating you a personal bespoke dry dog food diet. This is then checked and approved by their qualified veterinary nutritionist. Then and only then do they deliver, and they will do so every 4 weeks. 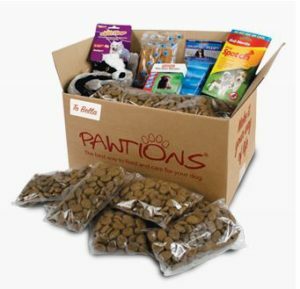 Based in Norwich, Pawtions is a convenient way to feed and care for your dog, not only do they provide a complete and extensive package of top quality dry food, they even have a hypoallergenic range for dog’s who need a little more TLC. They also can provide you with everyday essentials like flea and wormer treatments, treats, poop bags and the occasional free gift, and let’s face it, there’s always room for the pleasant surprise of a free gift … am I right? This is all sounds very well and good, but does my dog really need this? 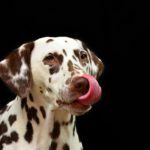 A dog’s needs when it comes to a diet can be as diverse as our own, and that means that they deserve no less thought than you would give to yourself. 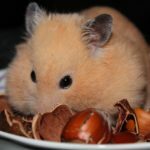 As a nation of animal lovers, it is instinctively important to maintain the good health of your pet, whether this means nipping down to your local supermarket and picking those generic tins off the shelf, or trying something a little more tailor made, that is a life choice that only you can decide upon. 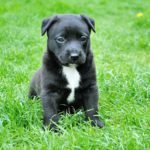 If you do want to put a little more thought to what goes into your dog’s diet, then this is certainly something that you should put some time and thought into. If you do go down this route, aside from the optional inclusions already touched upon above, you’ll receive in each delivery 56 bespoke portions of your dog’s specially formulated food, food that will ensure that your dog leads a healthy life with good quality food that supplements their active lifestyle. 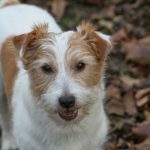 It’s a unique concept in terms of the doggy world, it’s a no fuss way to manage and control your dog’s diet, and as a bonus you’ll get 6 extra portions free the first time around, that’s a good buffer to have when getting used to delivery days. There’s also a free toy … no not for you, for your four legged friends … silly! What is more, every breed is covered, every age and every size, they are ready and waiting to provide your dog with everything that they need. It won’t end there either, Pawtions will be adding products to their optional choices, which will be displayed on their website as add-on packs, these will range from Snack Packs with toys, Cozy Packs with beds and coats, and a Grooming Kit. They are also promising more to follow. You’ll get a registration pack with comprehensive diet details and guidelines, your four-legged friend will also get a Birthday and a Christmas card, now that’s a friendly personal service! Obviously, there is a focus on convenience here with this product, and in this fast-paced modern world that we live in, why cut corners on quality, or get caught out by forgetting to get enough tins from the supermarket, with this service you get everything you need for 28 days, and you can be rest assured that it’s all good quality food. Convenience without the compromise. It’s hard to find a negative with this service, mainly because the people behind it have got their hearts in the right place. You’ll also be joining a community of happy customers who are delighted with the quality of the food that they receive for their dogs. 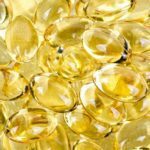 You only have to go to their website and view the testimonials to see that there is a lot of trust and affection towards this Norwich-based company. 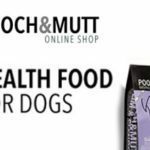 If you’d rather not have the stress of going through the supermarket looking for the right foods and hoping there’s nothing in them you’d rather your dog not be eating, this is a novel and worthwhile option, definitely worth a look.